Berg Adventures is making the journey back to its home away from home, Nepal, and this spring we’re taking 13 enthusiastic climbers with us. 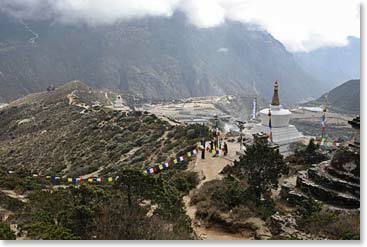 Together we will make the journey from Kathmandu to the Khumbu Valley of Chomolungma, Mount Everest. 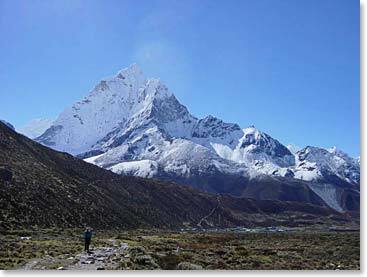 Our goals include the summit of Kala Patar at 18,300ft/5578m and an exciting visit to Everest Base Camp at 17,500ft/5333m. Along the way we will experience the springtime beauty of the valley as we breathe in the fantastic scenery of the world’s tallest peaks. Follow along as our adventure unfolds!